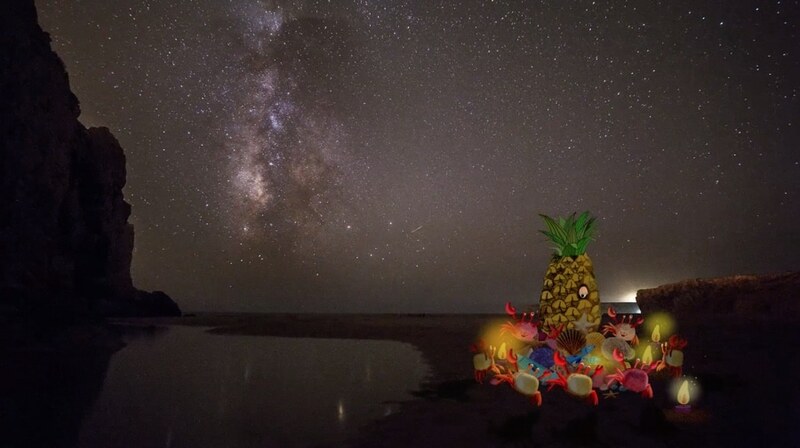 A crab happens upon a rather unusual sight on the beach: A strange pineapple. 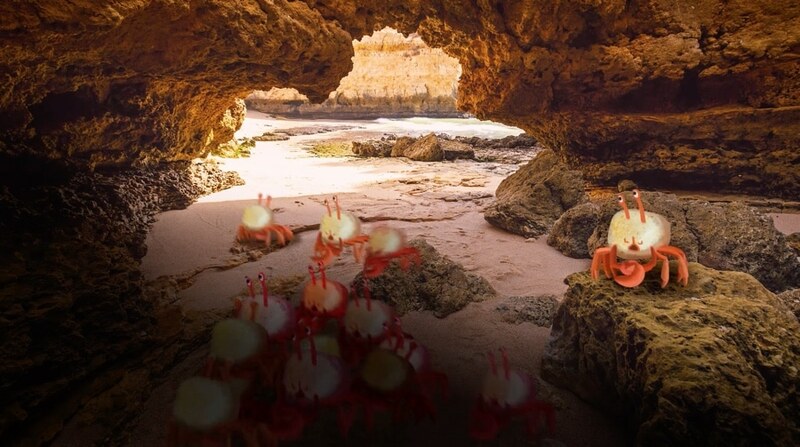 All the crabs gather to give it gifts of food to… honor it? To keep it happy? 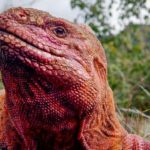 To keep it well fed so it doesn’t eat them? But what is this strange creature really? Maybe the octopus will find out. 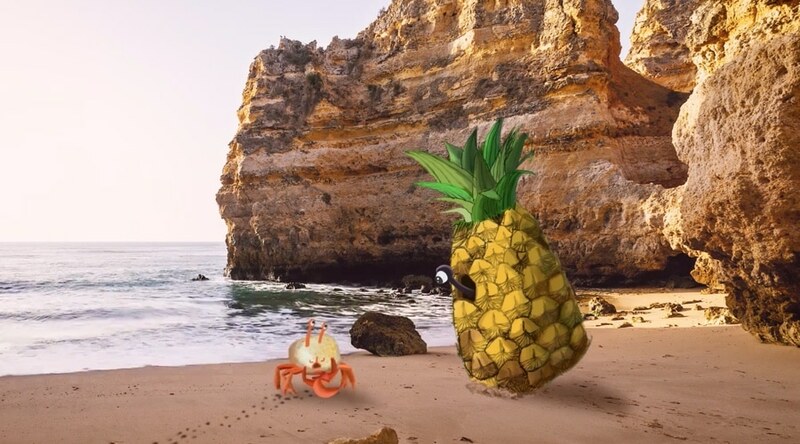 Crab Story is a delightful mix of animation and live action backgrounds by time lapse and hyperlapse filmmaker Filippo Rivetti and animation director Tatiana Poliektova. Watch more crab videos like this one, as well as more animated animal adventures: Minoule, Joy and Heron, The Old Mill, a Walt Disney Silly Symphony from 1937, and The Lion and the Mouse from 1976. Plus: The Secret World of Stuff and Aug(De)Mented Reality.